Centene and Catholic healthcare system Ascension are looking into creating a joint Medicare Advantage plan in several insurance markets, the two companies revealed Monday. The insurer and the largest not-for-profit health system signed a letter of intent to research the joint venture that would launch the plan, which they hope would hit the markets in 2020. The Medicare Advantage plan would be set as both companies' preferred model. "This joint venture will bring together two leaders with decades of experience across markets and creates an opportunity for scaled payer-provider collaboration," Centene CEO Michael Neidorff said in a statement. "We share a commitment of serving the underserved and intend to leverage the best capabilities of both organizations to provide high quality, affordable healthcare to support the needs of low-income seniors." Last year, Cleveland Clinic collaborated with several insurers to create Medicare Advantage plans. The plans launched with Anthem Blue Cross and Blue Shield of Ohio and Humana included no monthly premiums and required members to receive some services exclusively through the clinic. Approximately one-third of all Medicare enrollees will be in a Medicare Advantage plan in 2018, according to the CMS. The program's enrollment is projected to grow by 9% to 20.4 million in 2018. 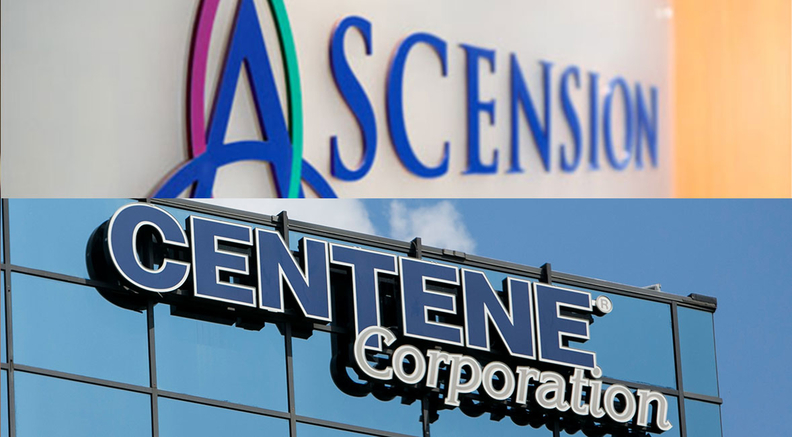 "We look forward to developing innovative, transformational approaches to serve this growing population in the many communities we serve as part of our advanced strategic direction," Ascension CEO Anthony Tersigni said of the Centene joint venture.